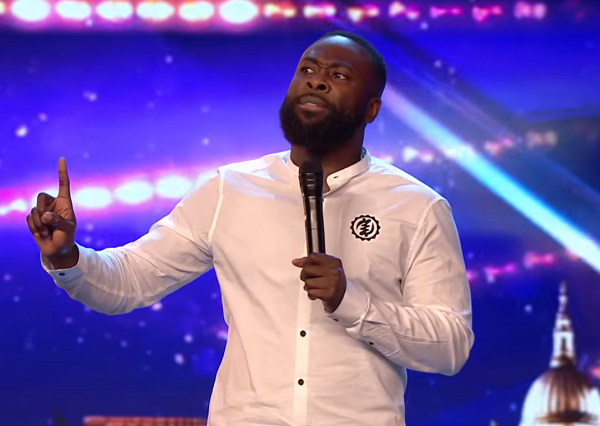 Kojo has been doing stand up comedy for half of his life, but it was one three-minute set on “Britain’s Got Talent” that finally put him on the map. The veteran comedian has already achieved some success in the comedy business, performing with pros like Dave Chapelle and even opening for Kevin Hart in 2014. Yet the 39-year-old admits that he was so focused on helping others succeed throughout his career that he found his own job prospects waning. As he stepped onto the stage for his “BGT” audition, he greeted judge Alesha Dixon like an old friend. “I was not expecting to see you today!” Alesha exclaimed when she saw him. Apparently, Kojo and Alesha’s husband Azuka Ononye have known one another for almost 10 years. The second Kojo begins his routine you can see the years of experience that have brought him to this place in his life. He’s got a very natural way of speaking, and much of his humor is based on the fact that he’s a working-class guy in a high-society world. His jokes are about mundane things like how expensive Britain’s black cabs can be, and how his parenting style will be different from his own strict Ghanian father’s. “I don’t have jokes, I have problems,” Kojo says, pacing the stage like a caged lion. 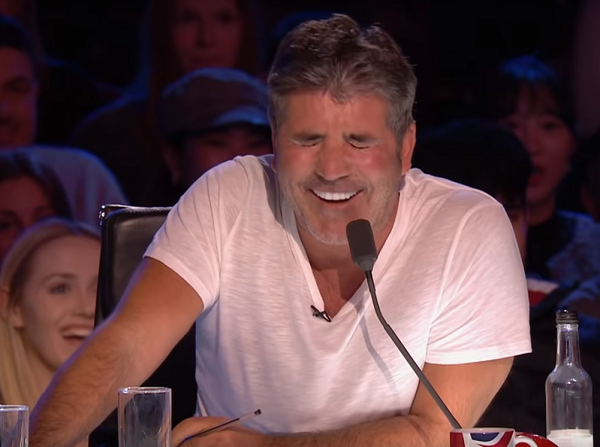 He then launches into a description of visiting a bank branch that has everyone, even known-curmudgeon Simon Cowell, howling with laughter. When he’d finished his set the judges honored him with a standing ovation, and soon the entire audience was on their feet. Kojo didn’t even try to hide the fact that this thundering applause moved him. He bent for a bow and then just held his head in his hands, seemingly thanking the heavens for nailing his important audition. 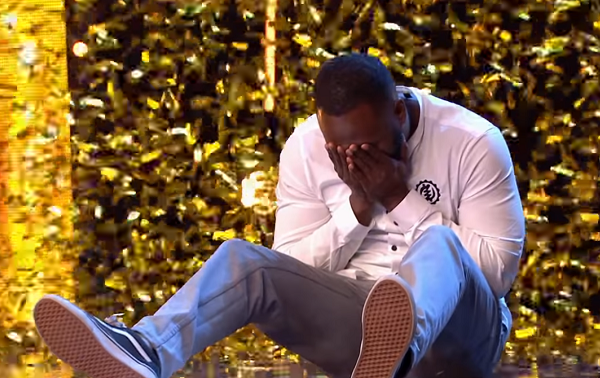 His reaction was so sweet that the judges were moved as well. Amanda Holden couldn’t wait to lavish praise on the gifted comedian. 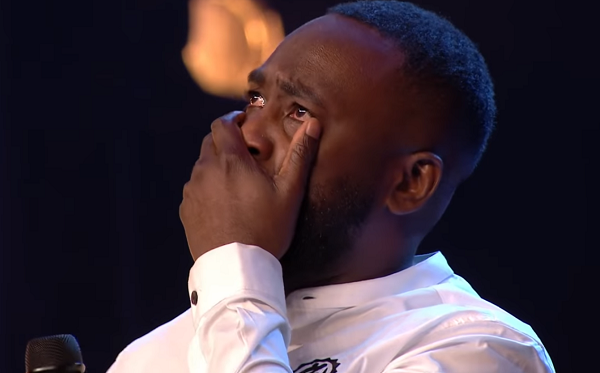 “Kojo, when you first came on, I loved hearing about how you’ve grafted, how you’ve honed your act, your little family and the act just got better and better and by the end you were like ‘Yes I’d pay money to see this man,’ congratulations,” she told him. 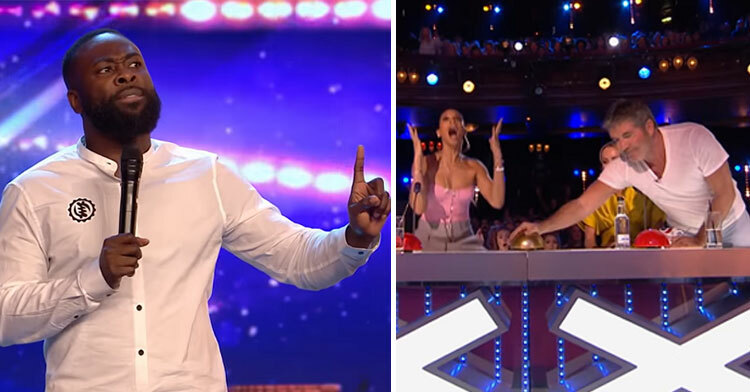 David Walliams praised Kojo for his easy manner and innate likability, but it was Simon who shocked everyone when he seemed to veer off-course. “What was quite amazing was I felt that you were nervous. 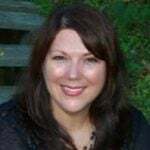 Then I could see the audience reacting to you, and you reacting to them,” he began. 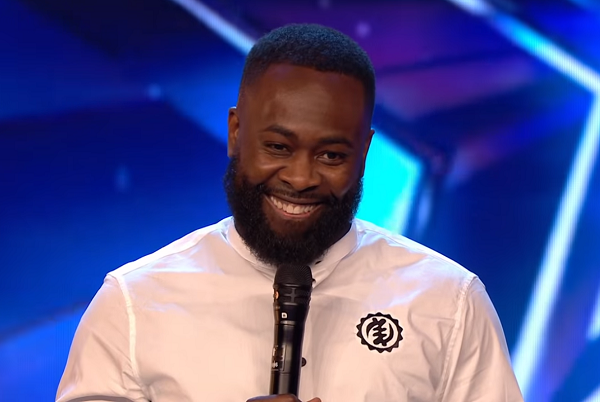 “I’m going to honest, I don’t really like comedians on this show…” Simon said as Kojo’s face fell. 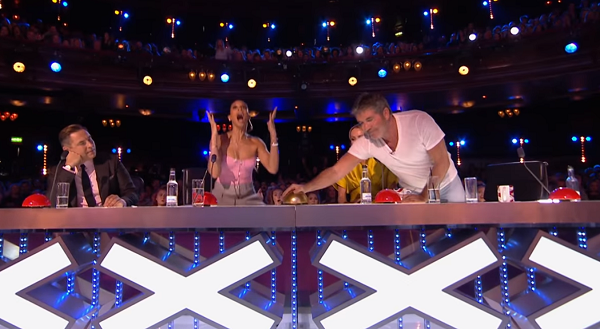 “But I love you!” Simon admitted, standing up and hitting the golden buzzer. Look at how excited Alesha is for her friend! As golden confetti fluttered to the stage, the audience leaped to their feet again and Kojo seemed to fall into a state of shock. 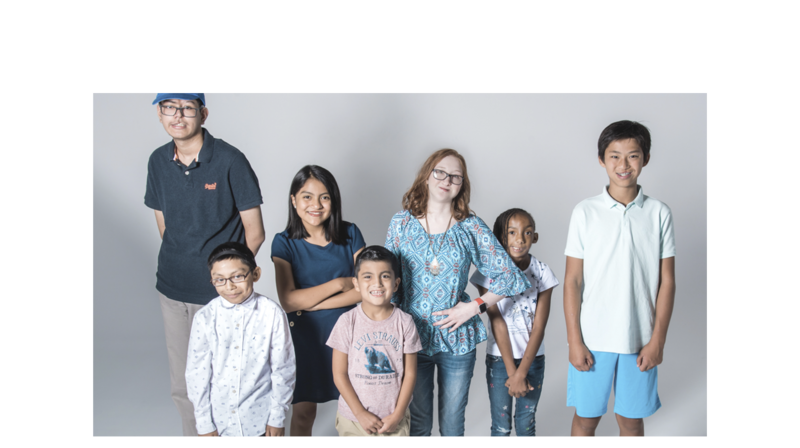 The golden buzzer is the utmost honor on this show, earning Kojo an automatic place in the live shows. It’s wonderful seeing someone who has worked so hard for his entire life being honored with a victory like this! He’s definitely got the natural talent to be able to stand alongside comedy legends, so we can’t wait to see him perform on future episodes. We’re rooting for you, Kojo! Be sure to share his incredible talent today.